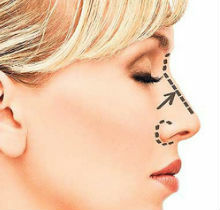 Nasal surgery (rhinoplasty) improves the appearance and proportion of your nose, enhancing facial balance. Rhinoplasty can also correct impaired breathing caused by structural abnormalities. An abnormal appearance of the nose as a result of birth defects, injury, or disease. A nose that is cosmetically unattractive or does not “fit” with other facial features. During the planning the following will be discussed with the candidate: ethnic characteristics, age and whether your skin is thick or thin, oily or dry. It is essential that the candidate have a mature personality and that the nose be fully developed, which happens around 17-18 years of age. Your plastic surgeon may also recommend additional procedures like chin enhancement to achieve a better overall facial appearance. 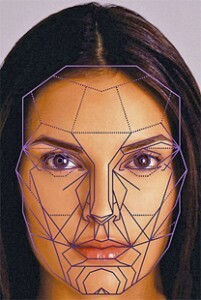 A more attractive nasal shape in better proportion to other facial features. A detailed examination is made before surgery. All expectations and its applicability is discussed including specific face and nose ratios with the candidate. Naturalness is always the priority. The cosmetic procedure is done under general anesthesia. Frequently used for larger noses, nose reshaping surgery involves one external incision across the columella (strut between the nostrils)or without any incisions across the columella depends on the shape of the nose. The surgeon then reshapes bones, cartilage, and soft tissues inside the nose to achieve an improved nasal shape. If only the nasal tip is abnormal, it may be corrected with a less extensive procedure. Large nostrils may be reduced through tiny incisions at the outer base of the nostrils. The patient goes home with an external cast or splint in place. The nose never be packed with surgical gauze and only silicone sheet is applied for six days. This is totally harmless and cause no pain. The cast or splint is usually removed after one week. Majority of swelling and bruising subsides progressively over two to four weeks. External sutures (if any) are removed in four to six days. Internal sutures dissolve. Semi-final result is evident in three months. Final result is evident in 12 to 14 months, which is the time necessary for complete tissue softening. Because the rhinoplasty procedure is cosmetic, it is not covered by insurance. However, if the nasal deformity is due to a recent injury, insurance coverage may be available.